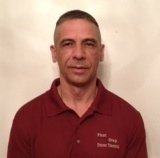 Tommy Collins, owner and primary instructor, with over 29 years of law enforcement experience as a retired State Trooper is committed to teaching each student the proper way to safely operate a motor vehicle on the highway. As a law enforcement officer, he has responded to numerous collisions involving driver error. Whether you are a teenage or adult driver, you will be better prepared for the highways with First Step Driver Training. First Step Driver Training specializes in classroom and behind the wheel training for both teenage and mature adult drivers. We also offer classroom sessions for Point Reduction. Serving Beaufort County and the surrounding areas.